GREEN BAY, Wis. (AP) — The Green Bay Packers are keeping more quarterbacks than running backs on their season-opening roster. Undrafted free agent Tim Boyle made the roster as the third quarterback behind starter Aaron Rodgers and backup DeShone Kizer. Green Bay’s initial 53-man roster lists just Jamaal Williams and Ty Montgomery at running back. In a bit of a surprise, veteran fullback Aaron Ripkowski was released. Running back Aaron Jones will also start the year on the reserve/suspended list after the NFL suspended him for two games for violating the league’s substance abuse policy. Eight receivers made the opening roster, including all three drafted rookies as well as undrafted free agent Jake Kumerow. He impressed Rodgers early in camp before hurting his shoulder. 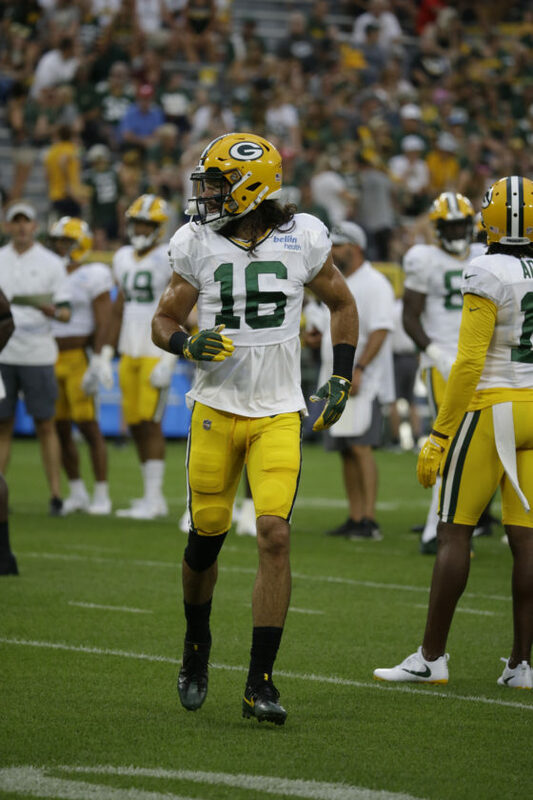 The Packers added to an already deep tight end group by keeping Robert Tonyan, who was a practice squad player last year, behind Jimmy Graham, Marcedes Lewis and Lance Kendricks. Notable moves on defense include cutting linebacker Vince Biegel, a fourth-round draft pick last year out of Wisconsin whose rookie season was mired by a foot injury. The Packers are keeping just four outside linebackers, with Reggie Gilbert and Kyler Fackrell backing up veterans Clay Matthews and Nick Perry. Inside linebacker Antonio Morrison made the roster after being acquired last week from the Colts. Cornerback Quinten Rollins was placed on injured reserve, while veteran backups Demetri Goodson and Josh Hawkins were released. Backup safety Marwin Evans, who played in all 32 regular-season games over the last two seasons, was also cut.